Okay I am doing this the exact opposite way of how I wanted to do things. I stumbled on to Cloverhill’s Big Texas Cinnamon Roll awhile back and was blown away at how good it was. I had plans to review it but never took a photo. 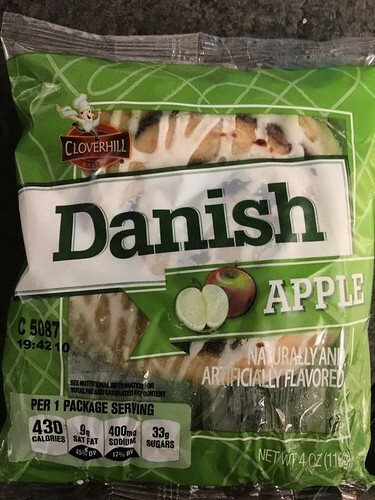 Now I find they have an Apple Danish…and I was smart enough to photo it for review. Wow this is seriously good. It’s tastes similar to the cinnamon roll but with the added bonus of the rich and tasty apple filling added. I bet these are UH-MAY-ZING if heated in the microwave or toaster over for a little bit.